Learning to work as a team and collaborate with others is a skill most of us have been working on since grade school. But it usually involved being in the same room, working side-by-side. In today’s work environment, you’d be hard pressed to find anyone who isn’t involved in virtual collaboration, often with team members in completely different time zones. Do you really know what collaboration means? There are lots of definitions floating around out there, and if there’s one person that has tried to determine which one fits, it’s Carlos Dominguez, Cisco Senior Vice President, Office of the Chairman and CEO. While virtual teams have many advantages, there are also some disadvantages. When team members are located in different offices – often in different time zones – obviously there isn’t as much work structure, and this often leads to undefined policies. Don’t let your team feel isolated. Be available on a regular basis. Hold regular meetings, both for individuals and teams. And try to have face-to-face meetings when you can. Use your creativity with team bonding efforts. When recruiting, look for shared understanding. Read more of Reiche’s virtual team management tips right here. There are several recurring themes that pop up when virtual team managers ask questions, according to Mark Mortensen and Michael O’Leary. In their guest blog for Harvard Business Review, they explore the most common concerns involving best practices for managing global teams: face-to-face meetings, technology, and dispersed workers. Finally, studies show that dispersed team members often lack shared and common understanding, with little opportunities to engage in informal conversations that promote cohesion. Therefore, virtual team managers will benefit from focusing on both structure and socialization. Check out the rest of Watkins’ basic principles for making virtual teams work here. Tom Mochal, president of TenStep, Inc., has been studying virtual teams for years. As an instructor and consultant on project management, he says that establishing team objectives is key, so that team members know and understand what it is that they are doing together. “If they understand only their own role and their own work, they will always just be individual contributors,” he said. You can find more of Mochal’s techniques, along with a downloadable PDF version, right here. Assistant Professor Mark Mortensen believes that virtual teams can outperform their colocated counterparts, and he explains this view as a contributor in MIT’s Innovation@work Blog. But he knows it isn’t easy. “While conventional wisdom suggests that the performance of teams suffers with dispersion, remote collaboration can provide substantial benefits,” he says. For the details of Mortensen’s advice, and for results from important virtual team research, read his blog here. We know there are countless collaboration resources out there exploring teamwork and virtual teams, and we’d love to hear about the ones you like. Do you have any special tips or ideas that work? And what doesn’t? Leave your ideas and comments below. 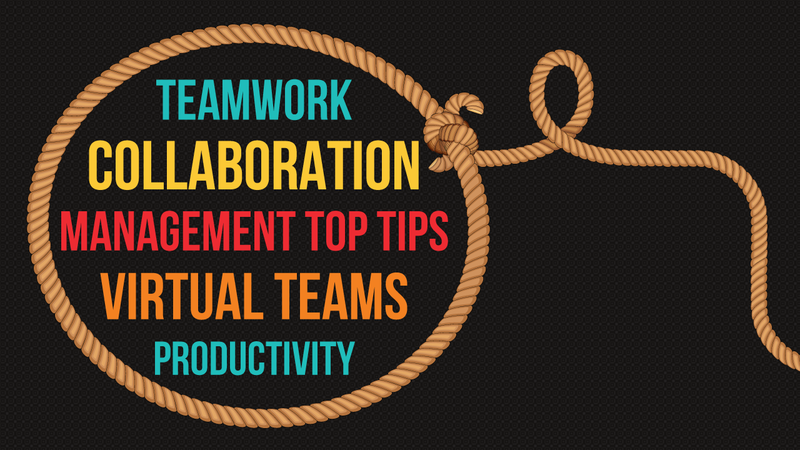 Interested on more tips on building a collaboration culture? Check out our e-book.